prizes: 1 Grand Prize Package. Package includes: One (1) Dolce Gabbana SMEG Juicer. Value up to $650. 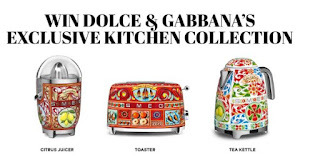 One (1) Dolce & Gabbana SMEG toaster. Value up to $650. 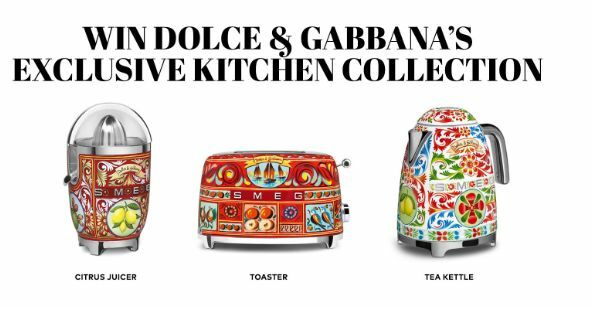 One (1) Dolce & Gabbana Tea Kettle. Value up to $650. Total ARV: 2,000.